As we said farewell to April for yet another year, I also found myself saying goodbye to a few beauty products too. 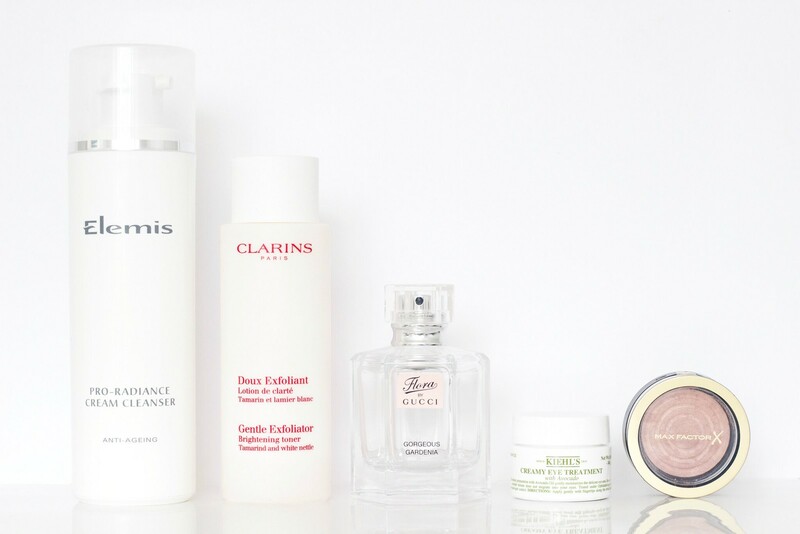 Like most empties posts this is primarily skincare as I get through that much quicker than make up itself, although I did manage to finish a blusher this month which was most unexpected. This was a product which I won a little while back in a giveaway held by the lovely Rachel. It took me a little while to finally getting around to using it due to a rather extensive back log of cleansers, however I have finally come to the end of that in the last few days. In comparison to the No7 Hot Cloth Cleanser and the cult cleanser from Liz Earle I did find this to be heavier on my skin, that being said it still removed my make up relatively well and it did not irritate my eyes. In terms of this improving the radiance of my skin I can’t say that I noticed much of a difference in that respect. Personally having now used this as well as similar products I do think that there are cheaper options out there that do a better job for a more affordable price. Having now used this on and off for a good year or so I can honestly say that I will miss this within my routine. Whilst I have not seen dramatic improvements in terms of the texture and appearance of my skin I do notice when I am not using this as frequently because it looks more congested. This brightening toner helps to remove deal skin cells which encourages cell renewal, I also notice that my skin is left feeling really soft and quite hydrated after using this. For those who are new to exfoliating toners then I think this is a great introduction to them as it is incredibly gentle on the skin. As I have now come to the end of this I will now be moving onto something else, therefore I am curious to see how that will work for me in comparison to this. This fragrance has been sitting in my collection for a while now, therefore it makes a little bit sad to be saying goodbye after so long. Gorgeous Gardenia has been a go to scent for me for a while, particularly throughout spring and summer which is why it has lasted me such a long time. It is a really light floral fragrance which I have really enjoyed wearing, although I am now rather keen to look at the new releases for this coming summer. Almost a year ago I dedicated an entire post to the Kiehl’s Creamy Eye Treatment with Avocado because to date it is still my favourite eye cream by quite a margin. Having mentioned this more than once before I will refrain from saying more other than that I need to repurchase this as soon as possible. If you are a long term reader of my blog then you will be aware as to just how much I have loved this product. Without a doubt I will be repurchasing this alongside a couple of other shades when the next three for two offer launches at Boots. These are very similar to the Hourglass Ambient Blushes for just a fraction of the price, if you have yet to try these then I would highly recommend checking them out. The packaging is not the most durable as after a few months use mine did crack at the join, although this was something I could put up with for just shy of £9.